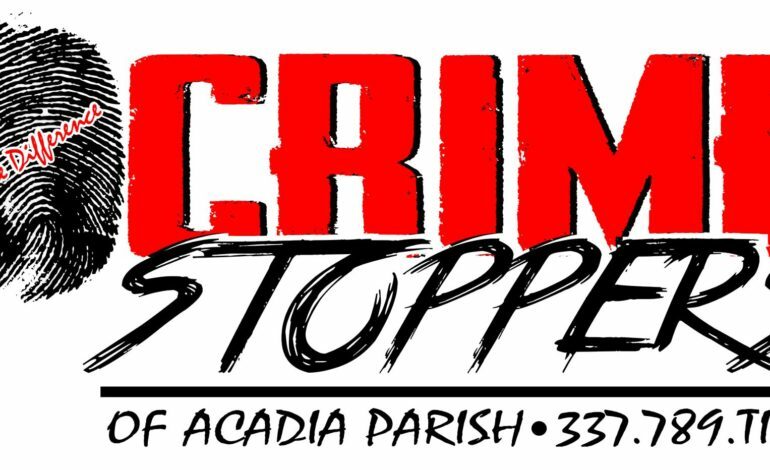 The Acadia Parish Sheriff’s Office is investigating the Felony Theft of a cargo utility trailer and 1200 pounds of copper wire from Entergy, located at 1134 Osage Trail in northeast Acadia Parish that occurred on January 20, 2019. Unknown suspect(s) gained access to the property by cutting a padlock and chain securing the gate. The stolen trailer is described as a white 14 ft. cargo trailer with a drop down back gate and the word “Highlines” on both sides. Twelve coils of copper wiring, weighing 100 pounds each, were also stolen. The value of the copper is estimated at over $4,000. If you have any information regarding this crime, you’re urged to call the tips line at 789-TIPS or download our P3 app on your mobile device to report your tip anonymously.